The emergence of the smartphone has resulted in a huge cultural shift as people now browse the internet on the go, and do so on a significantly smaller screen. This alternative way of surfing means that websites and their adverts must adapt in order to keep up with the new category of users. Google Adwords is continuing to focus on mobile browsing by introducing mobile optimisation as a key factor in determining the landing page quality of mobile campaigns, which in turn is used to decide the overall quality score. A high quality score for your keywords effectively means that your ads will appear higher and have a lower cost-per-click. 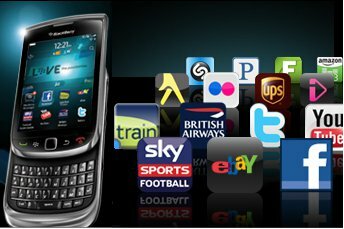 It will consider a superior mobile campaign to be one that is properly designed and optimised for mobile phones. Google AdWords has taken steps before to improve mobile browsing as in November it limited ad serving on high end mobile devices if the landing page had flash heavy content. Google will look at a range of different details to determine the landing page quality of mobile campaigns. Firstly, the content must be tailored to the bandwidth limitations of smartphones, so avoid any excessive advertising, videos, pictures and banners that will result in browsing becoming slow. Also ensure that you use punchy content with a stringent word count to fit the smaller screen. In addition, Google will be looking at the design of a site and how well it is suited to mobiles. Avoid overcrowding the screen as this will hinder the user journey. Only use pictures and videos when necessary, and avoid the use of banners as these will prevent people from navigating around your site quickly. Having a sleek clean layout will allow mobile browsers to digest information quickly. It should also be easy to browse using the touchscreen provided on certain mobiles. Ensure that all buttons are big as people will have to use their thumbs rather than a small cursor. Spacing buttons well apart will prevent people from pressing on a wrong button and ending up on an unwanted page. Adhering to these guidelines should ensure that a site is optimised for mobile users, providing them with a better browsing experience and you with better returns on investment.